"A fabulous resource. 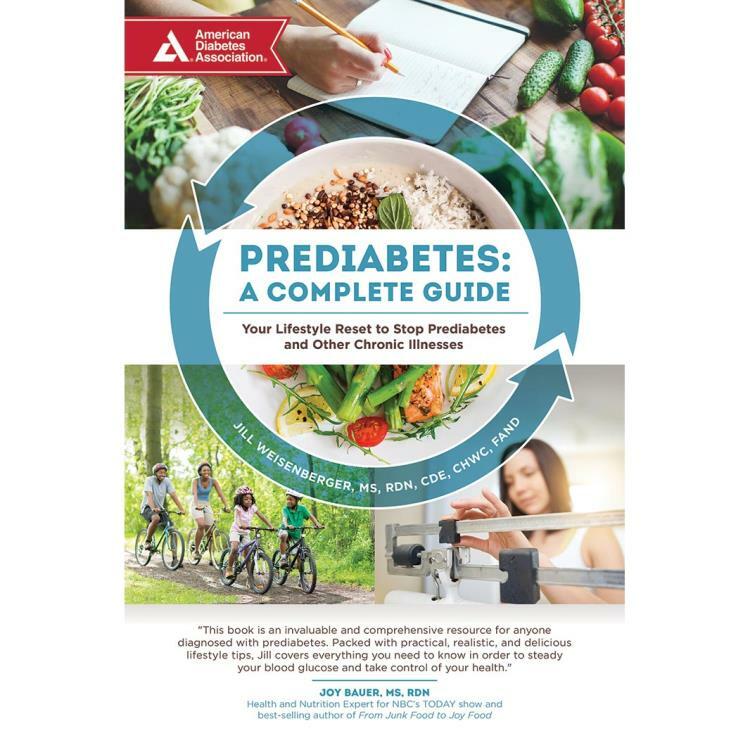 Prediabetes: A Complete Guide is truly that: complete. It is accurate, accessible, comprehensive, holistic, and genuinely empowering. If you have type 2 diabetes in your family, you should have this book on the shelf—and within easy reach at all times. You'll be glad you do." 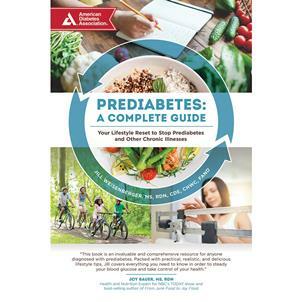 "This book is an invaluable and comprehensive resource for anyone diagnosed with prediabetes. Packed with practical, realistic, and delicious lifestyle tips, Jill covers everything you need to know in order to steady your blood glucose and take control of your health." “Everyone with prediabetes needs to take action! Use this information-packed book as your action guide. This book has it all…it provides choices, flexibility, worksheets, recipes, and much more…pick a page and get started to a healthier you." “This book is highly enjoyable to read, and the recipes are great. The text, with its charts and worksheets, would be terrific to use individually, as a family, or in a group setting." Nearly 10 million people in the United States have been told by their doctor that they have prediabetes, with tens of millions more estimated to have prediabetes and not know it. In fact, the latest numbers from the CDC suggest that nearly 1 in 3 adults currently have either prediabetes or diabetes. These are alarming numbers, and finding out that you are the one out of three can be even more alarming. Shock, denial, and confusion are not uncommon reactions. But there is a flipside to learning you have prediabetes. It can be scary, but it's also an opportunity—an opportunity to "reset," to improve your health, and to get yourself in better shape than ever. Let Prediabetes: A Complete Guide show you how! Written by Jill Weisenberger, a registered dietitian nutritionist, certified diabetes educator, certified health and wellness coach, and author of the American Diabetes Association bestselling book, Diabetes Weight Loss—Week by Week, this comprehensive guide will lead you through dozens of concrete steps you can take to reduce the risk of developing type 2 diabetes and other lifestyle-related chronic diseases. Taking an individualized approach to your lifestyle reset, Prediabetes: A Complete Guide will allow you to choose your own path to wellness and help you gain a greater sense of wellbeing, boost confidence in your abilities to maintain a healthful lifestyle, and potentially even help you reverse prediabetes, avoid type 2 diabetes and other chronic illnesses, and have you feeling better than you have in years!